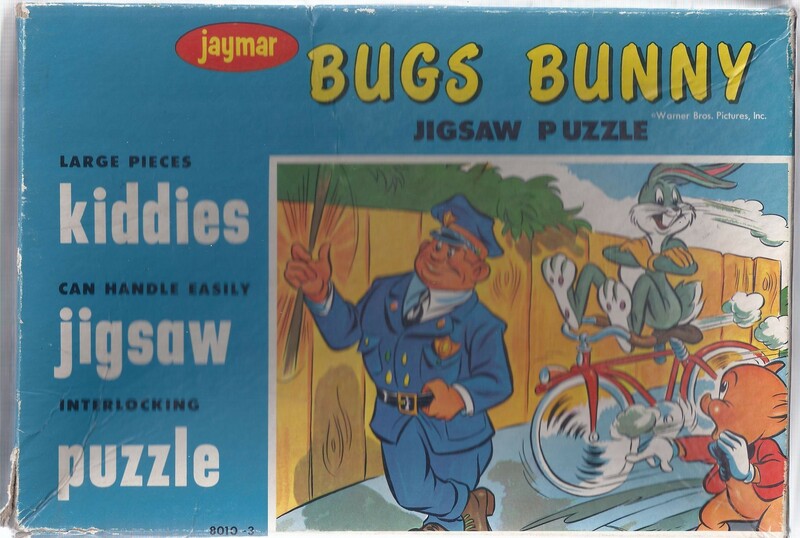 Complete Bugs Bunny jigsaw puzzle by jaymar “Colliding with the Law” 8010-3. 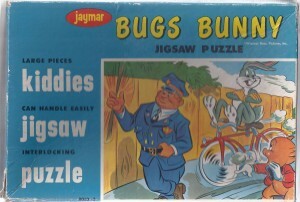 Large pieces. 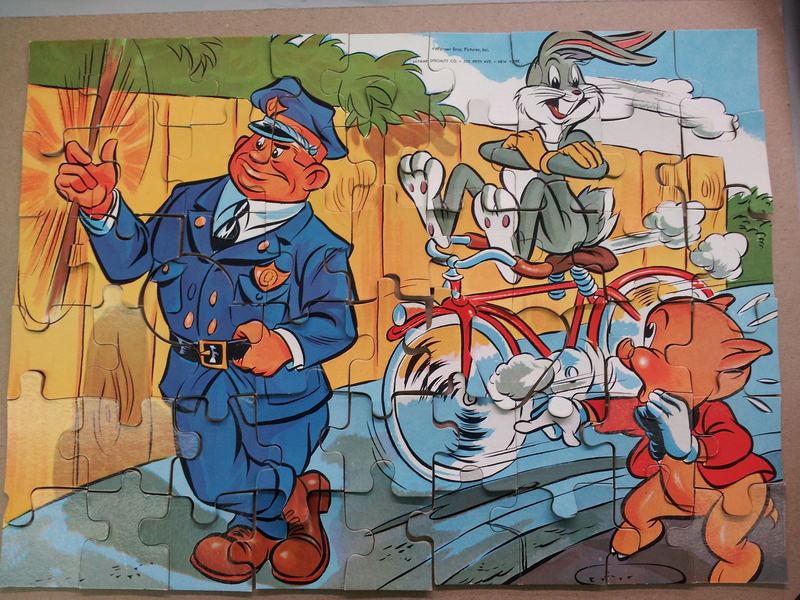 Pieces need to be flattened out.